Wedding kissing balls or pomanders are traditionally used to decorate, they work very well on wedding arches and also ends of pews. Plus they are a sweet way for flower girls to carry flowers. 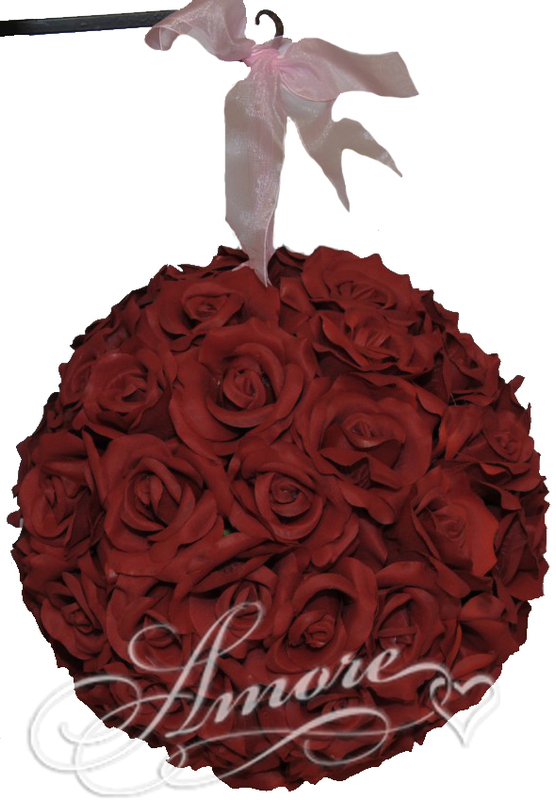 Our 8 inches Burgundy Kissing Ball comes with pink ribbon and match with our bridal bouquets and silk rose petals. They are made with high quality silk open roses. Ribbon included !